Our expert Spousal Support and Alimony Lawyers will give you best legal advice in Berks County and the respect and emotional support you deserve. Our attorneys are Family Law experts. We are top rated Berks County, Pennsylvania Spousal Support and Alimony Lawyers near Reading, PA. 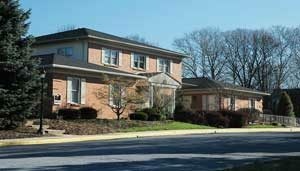 When you search for a Divorce Lawyer or Spousal Support and Alimony Lawyer in Reading or Berks County, the number of choices you have can be staggering. Everyone says the same things. So which lawyer do you choose? making sure the solution we come up with leaves you as financially and emotionally intact as possible. 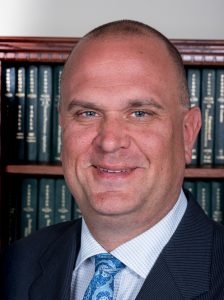 My name is Larry W. Miller, Jr. I’m an experienced, expert Berks County Spousal Support and Alimony Lawyer and Managing Partner at The Miller Law Group. I’ll protect your rights whether you’re the financially dependent or financially independent spouse. 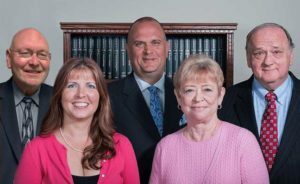 Our law group has 4o years’ experience representing clients in Berks County communities around Reading, PA. Call me because no one will work harder to protect you and make sure your former spouse treats you fairly. Applies to the period from the couple’s separation date and the date when either spouse files for divorce. One spouse may be ordered to pay this type of support to the financially dependent spouse. The financially dependent spouse is the spouse who earns less or no income. The spouse ordered to pay spousal support can use the entitlement defense to avoid paying if the financially dependent spouse committed adultery or left the marriage without due cause. Applies to the period after the divorce has been filed but before the divorce is final. Provides a financially dependent spouse with the means to pay for living expenses and legal support during the divorce process. Once the divorce is final, a court may order one spouse to pay alimony. the financially dependent spouse has small children not yet in school. For the court to award alimony, the non-dependent spouse must have enough money for living expenses and alimony. Spousal Support and Alimony issues are complicated. You should speak to one of our expert Spousal Support and Alimony Attorneys before you decide to separate or file divorce. Whether you are the person filing for divorce or someone who doesn’t want a divorce, talk to us. You won’t find better Spousal Support and Alimony Lawyers in Berks County. Let us help you. What Could Impact Alimony in Pennsylvania? You don’t have to pay an excessive amount of support to your partner. It’s especially true if your partner was unfaithful to you or left the marriage. Your partner’s bad decisions during the marriage don’t permanently affect your finances. to ensure you’re not left financially dependent or unable to meet necessary living expenses. We are the Spousal Support and Alimony Lawyers you’ve been looking for in Berks County. Now you know why so many people in Reading, Pennsylvania and the communities near Reading, PA chose us. We can help you too. Contact Us Online or Call Us at 610-670-9000 today for a confidential consultation.